They provide computer repair services in a computer parts store near YOU with new and used computer parts inventory, virus cleanup services, computer tuneups and networking solutions for local businesses as well as home users. Tri-City Computers buys, sells, trades, repairs and recycles computers and mobile devices with an emphasis on recycling solutions to keep electronics out of the local landfills. 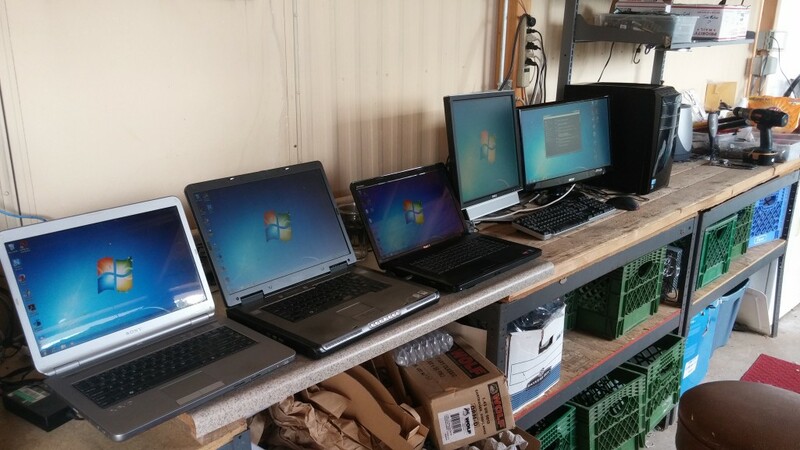 “We have a well organized stock of used parts because we reuse, reduce and recycle all the technology we can.”, said Greg. Greg Eddolls has a history of computer repair service and independent I.T. Consulting in the Quad-City area of Prescott, Prescott Valley, Chino Valley and Dewey. TFS Networks LLC works primarily in the business of computer repair and consulting for home and business clients. TFS Networks specializes in easy to manage computer networking solutions for local business. “Tom Leufkens is continuing his business launch into Solar Panel System Installations” said, Greg. “He has always been an excellent technical minded genius. He does a great job at everything he pursues. I highly recommend you get hold of Tom Leufkens if you are thinking about putting a proper solar panel installation on your home. He will save you amazing amounts of money on your electric bill for decades to come. That’s a free plug for you Tom!” quipped Greg. Zion Eddolls brings literally a lifetime of tech savvy experience to the partnership of Tri-City Computers. Growing up in the technology centered landscape of the Eddolls home gave him a serious advantage in tech knowledge. He also has natural aptitude and technical talent. Zion handles the Apple side of computer repair primarily, including those pesky screen replacements for iPads, iPhones and Androids. He is also an expert video and audio editor with years of solid editing experience under his belt. “I look forward to utilizing Zion’s skillset for some awesome video production marketing, tutorials and fun tech videos.” said Greg. These two geek-men are joined by there amazing supportive wives to create a very strong and cohesive business structure that will stand the test of time. Dori Eddolls (the wife of Greg) is a fantastic organizer and no-nonsense image specialist for the business front. She has style input into everything that is done behind the scenes at Tri-City Computers. “It all has to look clean and smooth and that’s what Dori does extremely well.” said Greg. 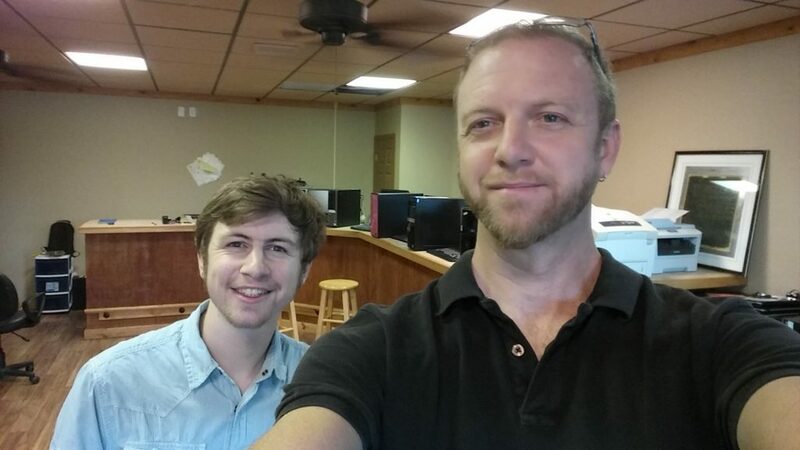 Greg and Zion (Father and Son team) are re-organizing and streamlining the Tri-City Computers store located at 4620 North Robert Rd., in Prescott Valley. It’s an “easy to spot” location on the corner of Spouse Dr. and Robert Rd. Right by the Shell Gas Station and X-Hale smoke shop. They also serve customers throughout the Quad City area of Prescott, Prescott Valley, Chino Valley, and Dewey, AZ. The new Tri-City Computers store takes walk-in traffic for computer repair, laptop repair, ipad repair, iphone repair and android repair, as well as the always necessary Virus Cleanup and Computer Tuneups that are needed on all our computers from time to time. “We are also happy to visit your home or business location to provide onsite support for your technology demands.” said Greg. TFS Networks also has a sister company that started the Computer and Electronics recycling business. DLG Networks Computer and Electronics Recycling was the original brainchild of Don L. Gordon (DLG). Don is a truly incredible and massively capable computer programmer who makes miracles happen for small businesses. Don is adept at multiple computer and web languages as well as MySQL (Structured Query Language) for database creation and management. He is a master of custom web design functionality using MySQL and PHP among many other advanced skill sets. “We look forward to Don helping us out on the website front. I mean I could do it, but I can’t hold a candle to the amazing mastery that Don Gordon brings to his committed projects.” said Greg. “Don Gordon has always had a passion for recycling electronics and a geeky retro side too that delights in the technological advances of yesterday’s vintage electronics as well as the latest and greatest trends in programming and design. An amazing addition to our team behind the scenes.” said Greg optimistically. “TFS Networks Consulting, DLG Networks Computer and Electronics Recycling and Tri-City Computers will all be housed under one roof to bring you a trilogy of excellent technology support…and that’s just scratching the service. We have big plans for future expansion.” says Greg with a wry and gleeful smile. “Let’s do this!”.